Back in 2014 (seems absolutely crazy that it was 3 years ago!) 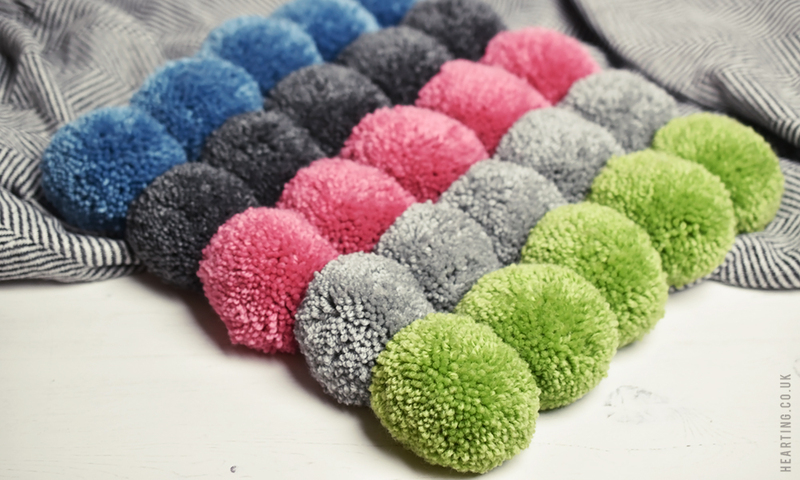 I was rather pom pom obsessed but since the mahoosive rug project and a couple of smaller projects that followed that year, I haven’t touched my pom pom makers. 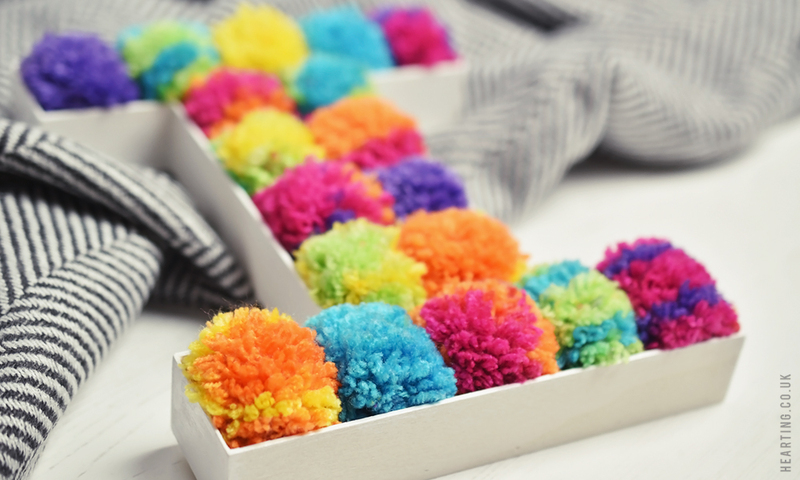 A couple of weeks ago, however, I was hit by a sudden desire to start pom pom making again. 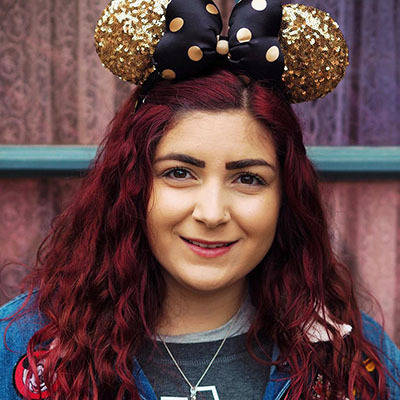 In my opinion there’s something very comforting about snuggling up under a blanket, working on a craft project while watching a Disney movie or a rom com around this time of year. 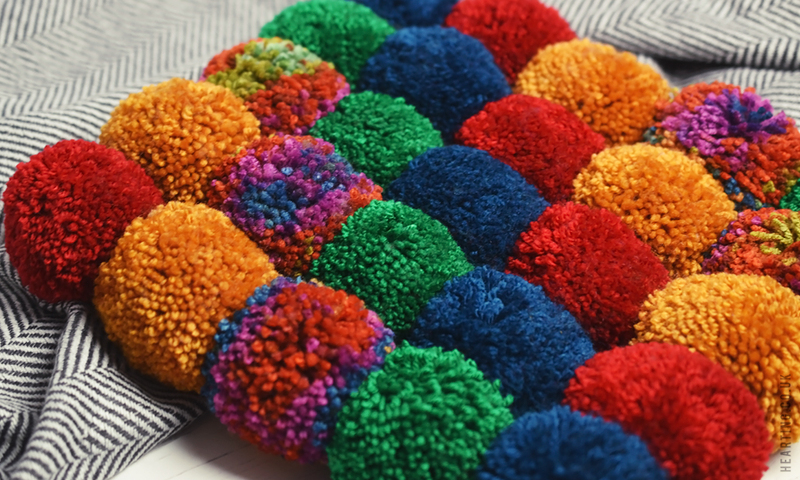 And so here we are – the pom poms are officially back and I thought I’d share my recent pom pom projects with you as I’m absolutely loving them. 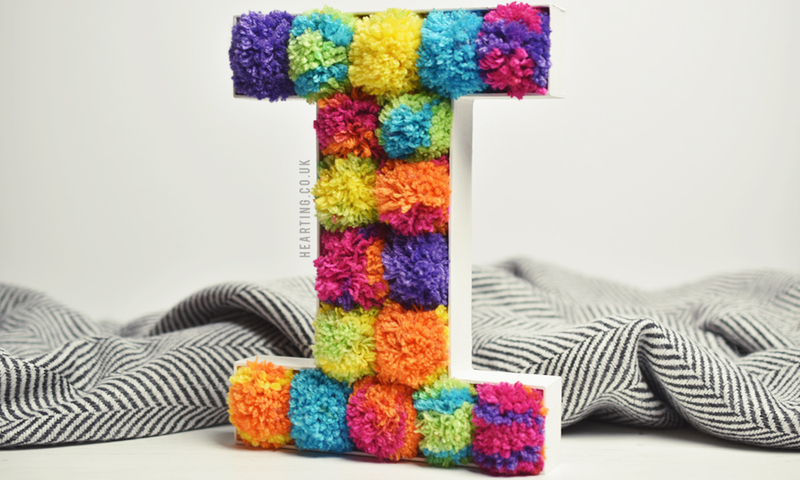 Making this Pom pom letter “I” was a really fun little project. I started by giving the wooden letter two coats of white paint and proceeded to make 18 mini pom poms which I then went on to glue inside the letter using a hot glue gun. 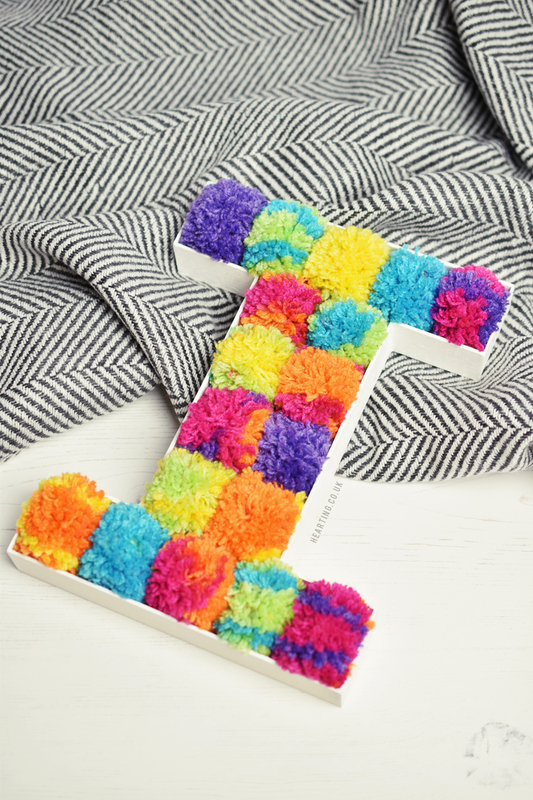 I decided on multicoloured wool which made a really bright and fun “I” but I think this type of project would work well whatever colours you decide to use. I’m going to have to get some more letters to give some more colour combinations a try – the possibilities are endless! Of course I had to make something Autumnal – how could I not? I decided to make a little wreath featuring golden, paprika and brown shades that remind me of the beautiful changing leaves synonymous with the season. I could have easily hung this on the door but I decided to make this into a centrepiece (with Yankee candle and all) for our coffee table. I’m definitely going to be making another one of these come Christmas as I’m so pleased with how this turned out. So I’ve made not one but two pom pom canvases in the last few weeks! I made one using pink/grey/green/blue yarn positioned in stripes and another in bold green/red/blue/paprika/multicoloured yarn in diagonals. Do you have a favourite? I can’t choose! 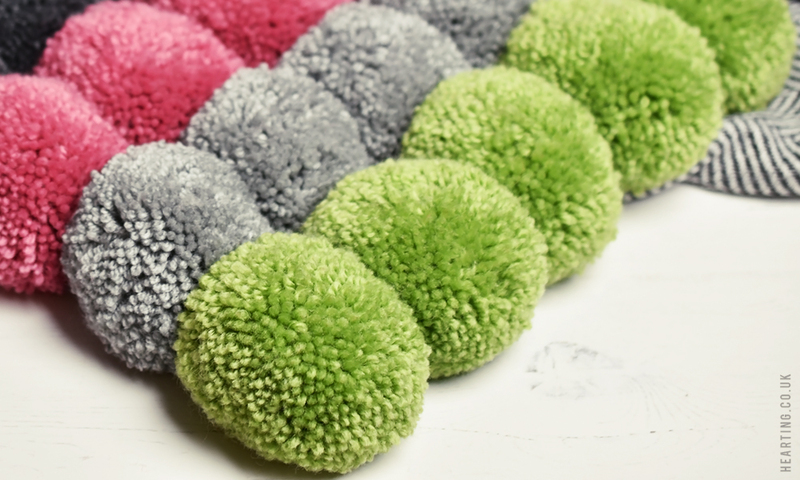 You’re probably wondering what I’m going to do with these pom pom canvases – I’m still deciding whether to hang them on the wall or just keep them as feature rugs but I’m sure I’ll think of something! I’ve actually ordered a bigger canvas so that I can make a larger one next time. As you can probably tell I’ve spent quite a lot of time in Hobbycraft recently. 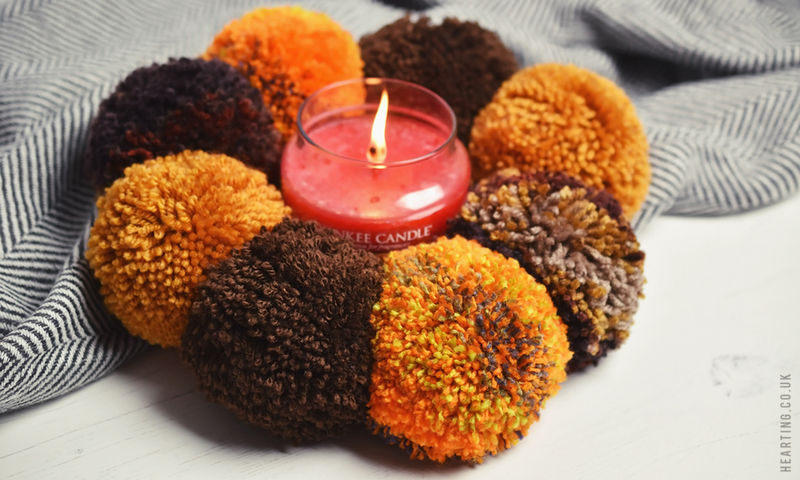 Look out for more pom pom craft projects in the near future as I’ve still got lots more ideas that I’d like to try making. Do you like to work on any craft projects around this time of year?